All prices (except replacement walls) include 10% GST. FREE DELIVERY WHEN ORDERING 8 SETS OR MORE!! New cover plates will help refresh your pool! These liners are manufactured from premium heavy duty 0.50 gauge PVC Vinyl, UV stabilised and formulated for our harsh Australian conditions. Each liner carries a minimum 10 year pro rata warranty against defective material and workmanship. All sizes available plus deep-ends. Available in heights of 1.2m (4ft) and 1.37m (4’6″) Choice of colour selection: light blue, dark blue & print base. Prices vary depending on the size and printed or patterned liners. Call us on (02) 8625 3656 for a quote. Pick up from our factory or we can arrange delivery. BHP colourbond wall, corrugated for added strength. Gal base colourbond plain sandstone or merino finish. Many sizes available, prices vary depending on size, see list below. ALSO INCLUDES FULL SET OF WALL NUTS AND BOLTS. TRADE CUSTOMERS WELCOME, i.e. pool repairers/installers. NOTE: Wall prices below do not include 10% gst. NOTE: Other sizes available on request, made to customer’s requirements. Nominate height, i.e. 1.2m or 1.32m and the total length in metres of the pool wall. Call us on (02) 8625 3656 to get the best price in Australia. 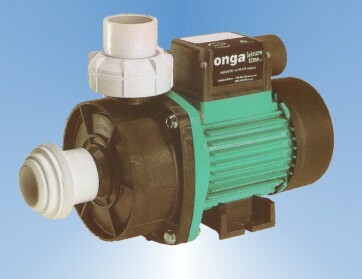 The Leisure Time and Onga Series feature a balanced flow design which ensures even water distribution over the entire filter bed. The filtered water is then collected via a unique underdrain system and passed via the multi-port valve back to the pool. The filter tank is an integrated one piece moulding, constructed from high impact, UV resistant polyethylene, totally corrosion resistant to suit both fresh and saltwater conditions having a 10 year warranty, being designed to provide many years of trouble free operation. Includes – one piece filter tank, barrel unions, sight glass and multi-port valve. Made from a fine weave fabric which in turn reduces the amount of sunlight entering the pool which reduces chemical usage and evaporation. It keeps all types of leaves and debris out but lets rainwater through. This feature means the cover doesn’t have to be drained during rainy periods. The cover fits easily over the pool like a shower cap with eyelets so the cover can be tied down. Prices vary depending on size. Call us on (02) 8625 3656 to find out what size would best suit your pool. Under cover pool floats which elevate the cover to allow leaves, bugs and dust roll off ($25 each). Cuts evaporation down by 95% Made from a fine weave fabric which in turn reduces the amount of sunlight entering the pool which reduces chemical usage and evaporation. It keeps all types of leaves and debris out but lets rainwater through. This feature means the cover doesn’t have to be drained during rainy periods. The cover fits easily over the pool like a shower cap with eyelets so the cover can be tied down. Prices vary depending on size. Call us on (02) 8625 3656 to find out what size would best suit your pool. Under cover pool floats which elevate the cover to allow leaves, bugs and dust roll off ($25 each).